Description: Mesh lined, drawstring waist. Reflective piping. Back pocket, ankle zipper & side pockets. 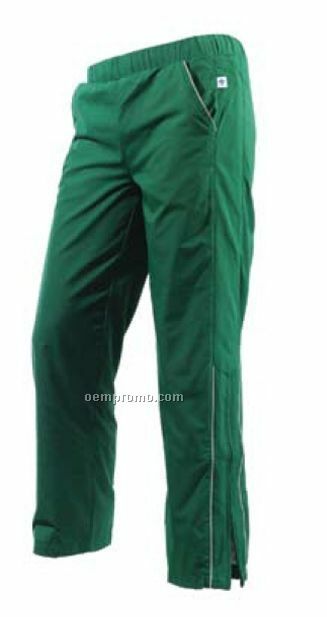 Description: Turf-PLEX fabric, mesh lined. Drawstring waist, back pocket & side pockets. 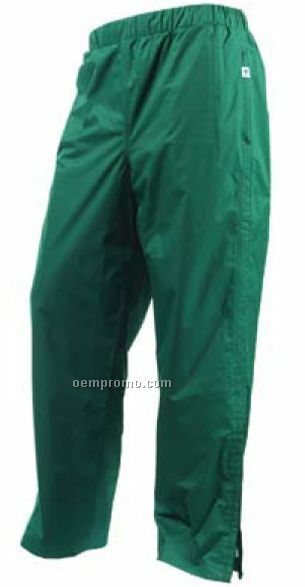 Description: Turf-PLEX water resistant fabric. Water resistant, breathable. Drawstring waist, mesh lined. Zippered side pockets, back zip pocket. Side zip at ankle. 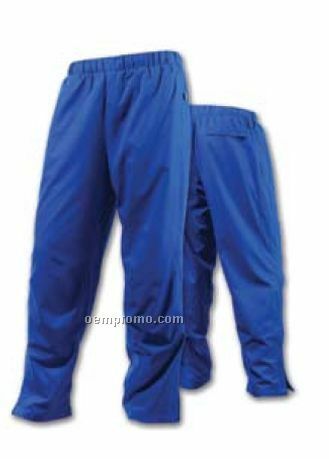 Description: The utility cotton dungaree is all cotton, detailed for hard work with oversized pockets, a hammer loop, a ruler and tool pocket, and a metal button closure at the waist. Description: Water resistant, breathable & seam sealed. Drawstring waist, back zip pocket. Side zip pockets, side zip ankle. 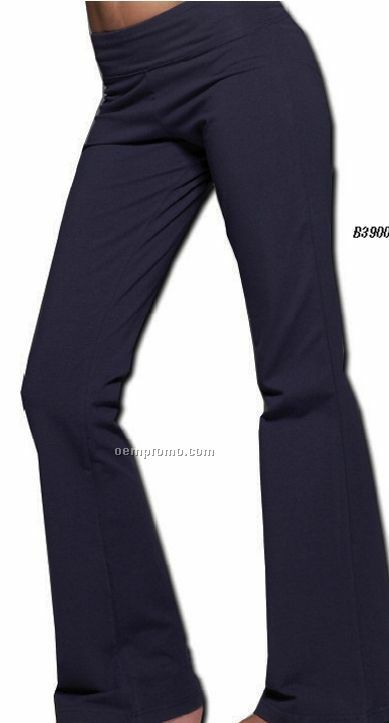 Description: A notable favorite because our fitness pant is made to appeal to a women's curves. Contoured legs create a slightly flared leg opening and a two-piece waistband help to minimize the back view. Laundered. 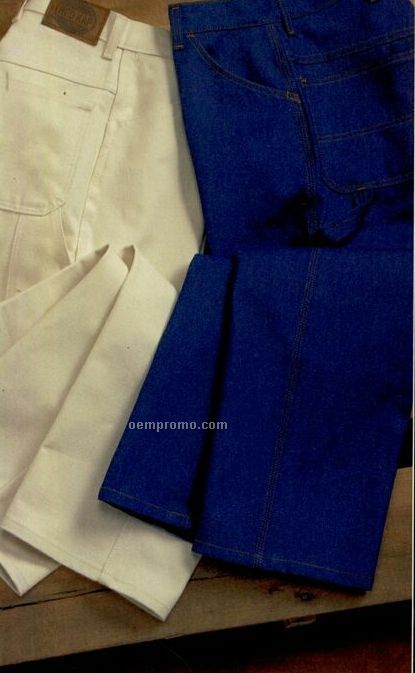 87% cotton 13% spandex, 8.0 Oz., 270 Gm/m2.